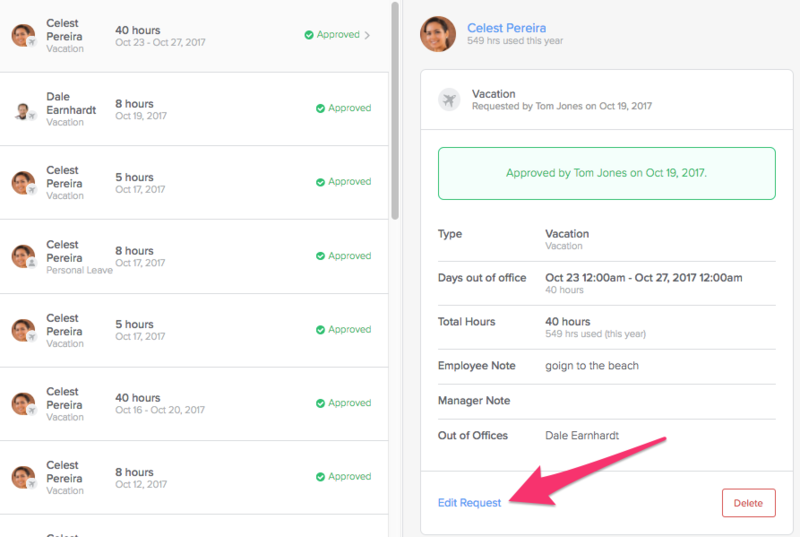 As an admin, how do I modify a team member's time off request? 1) Login into your GoCo account and go to the Company page. 2) Click the Manage button on the Time Off card. 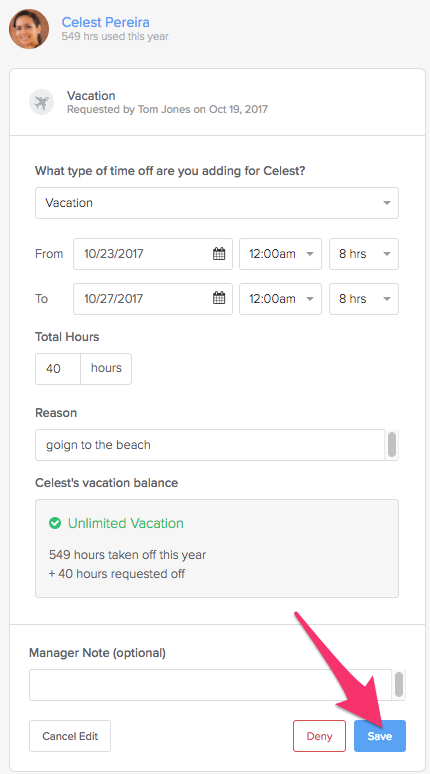 4) Select the time off request you want to edit from the list. Click Edit Request on the right window. 5) Modify the time off request as necessary and click Save.